Posted on July 13, 2016 by Mike Sonnenberg Posted in Detroit, Houses	. 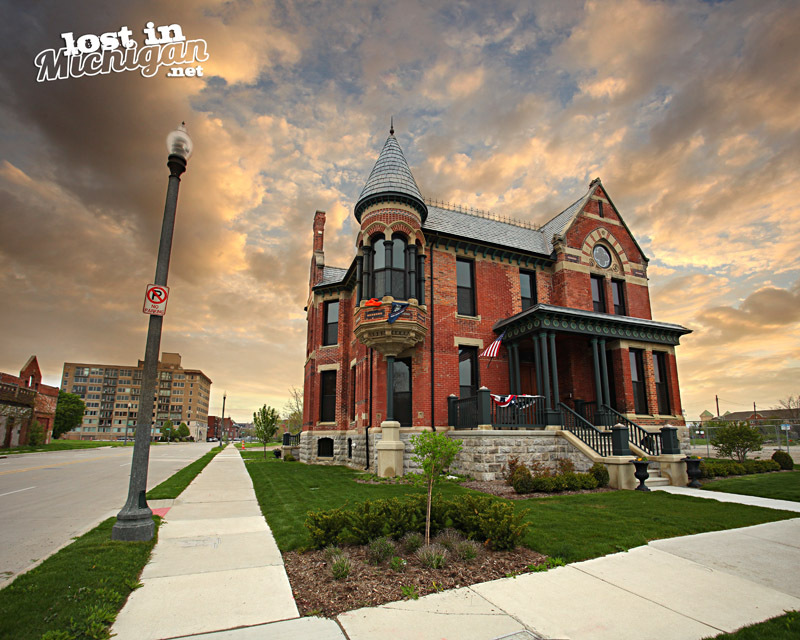 I finally got a chance to get a pic of the famous Ransom Gillis house in the Brush Park Neighborhood of Detroit. This is the house that Nicole Curtis renovated for her HGTV show. 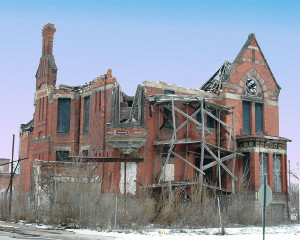 I was down in Detroit a few years ago but I never took a pic of this house before Nicole started working on it. I did find a photo of it on Wikipedia from 2005, and its unbelievable of how bad of shape the house was in before the restoration. I see beautiful old historic houses thought the state, but they are in need of serious restoration. I get a lot of comments that they are ” to far gone” but I know a lot can be done, if someone is willing to do it. Money wise, it’s up for debate if it’s worth the investment to restore an old home, but it’s hard to put a price on history. you can build a new house, but you can build an new historic house. The Ransom Gillis House was built in 1876 at a cost of $12,000 for Ransom Gillis, a wholesale dry goods merchant. The property was sold by Gillis in 1880. The house and property passed though the hands of four different upper-income families between 1876 and 1919. After this time, the main structure was converted into a rooming house, along with most of the other structures on the street. The carriage house behind the structure was rented by Mary Chase Perry Stratton in 1903, becoming the first home of Pewabic Pottery (which you can read about in my post HERE). The pottery moved in 1906, and the carriage house was then occupied by an auto repair shop, a battery service shop, and finally a filling station, before being torn down and replaced by a restaurant in 1935. The restaurant operated until the 1960s and was demolished in 2005/2006, as part of the city’s “mothballing” work on the property.